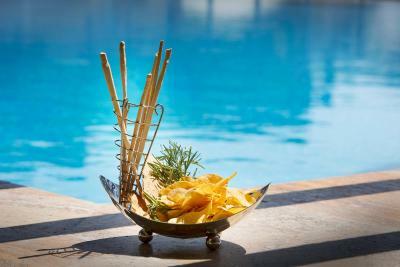 Helpful Staff, Great facilities and very clean and comfortable. Very frendly stuff. The rooms are big end extremely clean. Special thanks to Tarek, the receptionist. Room and beach were nice. Breakfast and buffet dinner were great. The security in the hotel was also great. This hotel is huge and didn't feel crowded at all. Beds were ok. Strong Wifi. I like how they have seats, mud for body, showers for you in the beach area--very convenient. There is a nice playground area and a heated pool for kids which my son liked. Watching sunset in the beach area was nice. The breakfast was ok/standard. This place was beautiful. I was really impressed. Awesome food and the private beach was great. Compared to other resorts around, this place has best value for money and I didn't feel like we missed out on anything. 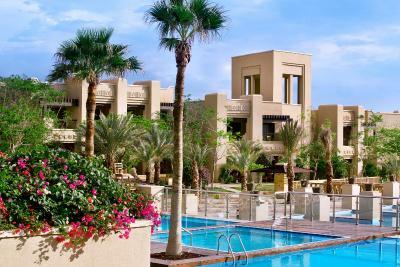 Holiday Inn Resort Dead Sea This rating is a reflection of how the property compares to the industry standard when it comes to price, facilities and services available. It's based on a self-evaluation by the property. Use this rating to help choose your stay! 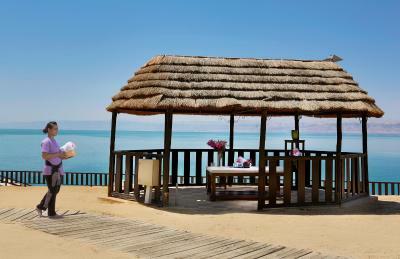 Holiday Inn Resort Dead Sea is in a lush garden and has an expansive outdoor pool surrounded by lounge chairs. There is also a sauna and hot tub in the hotel’s health club. Guests can unwind with a relaxing massage treatment. 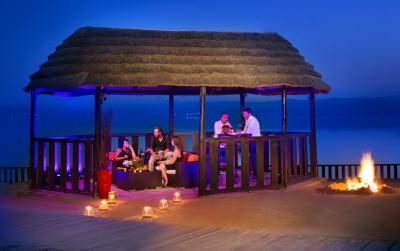 The resort has 3 restaurants and bars, including an all-day dining restaurant, a specialty steak house and a beach bar. 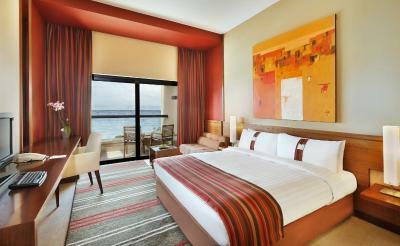 Guests can enjoy Holiday Inn Resort Dead Sea’s room service. 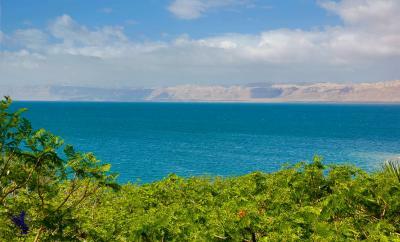 House Rules Holiday Inn Resort Dead Sea takes special requests – add in the next step! Their reasort beach is very clean, but outside the propriety is dirty. So, on the beach is very easy to see plastic bottles and plastic bags around.